​​​​DALLAS-FORT WORTH - The region has become a major tech market with a tech workforce twice the size of Austin’s and growing. Since 2010, the number of tech-related degreed has doubled in the area, attracting both established firms and startups that are adding jobs at a faster rate than universities can produce skilled workers. Tech companies in the DFW market are currently looking for more than 3 million sf of space. 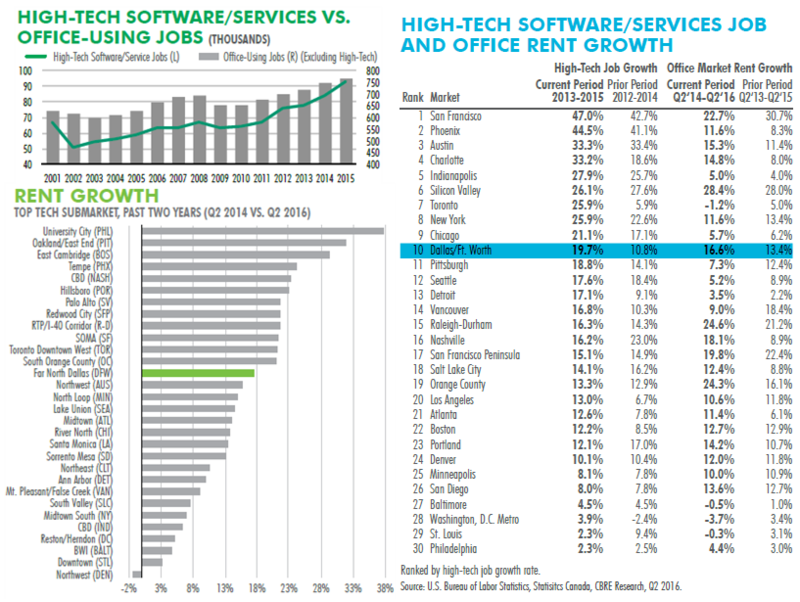 ​Click to see CBRE's full Tech-Thirty 2016 report (PDF), jump ahead to page 41 for Dallas-Fort Worth.